Hi everyone... Welcome to our challenge for this week. Before we get to the details of the challenge, here's the winner of Challenge #13, chosen through Random.org. And that is Janet Lynn..... Congratulations Janet Lynn, from all of the Sassy Gals. 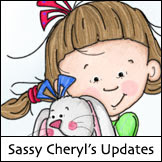 We hope that you enjoy great images from Sassy Cheryl's shop. Just contact the sassiest of sassys.. Cheryl.. to arrange for your gift certificate. Happy coloring Janet Lynn, and thanks so much for playing along with us! 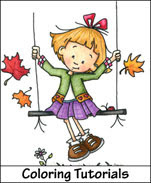 Our talented Ms. Jodi is our hostess this week..and she has put together a great challenge that you will love.. it's all about lots of layers. We have our guest designer joining us this week. Please meet Lia.. she's the lovely lady that won our guest designer spot. I've been cardmaking for four years now. I often create my own card layouts, but sometimes get inspiration from other talented cardmakers. I start by coloring my image, then add designer papers and then create my sketch/layout. Just this year I started using digi stamps because they are so easy to use and I don't have to wait for the postman to deliver packages. I'm married and we have 6 children, ages 11,9,6,5,3 and 10 months. We live on a farm in Zierikzee (Dutch Netherlands) and we raise cows. In the summer we sell pumpkins that we grow on our farm. As you can imagine, we are busy every day. When I'm not stamping I also enjoy cross-stitching. Unfortunately, I have MS, so these hobbies are my enjoyment in my free time. I do hope that you like my card for this challenge. We do hope you will play along with us. 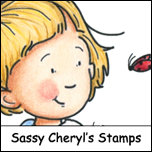 Jodi's put together a great challenge and you get to use any type of Sassy Cheryl image that you would like.. just add lots of layers... and you get to decide how many layers you would like to add. 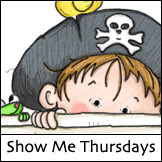 To enter, link up your blog post (not just to your blog address). You can combine our challenge with others if you wish. We'll be by to say hello... see you then! Sending sassy hugs from the Sassy Gals....!! Oh wow! I think I say this every time, but these are some of the BEST cards yet ladies!!! AMAZING!!!!!!!!!!!! Inspiring, as always ladies!! I always look forward each week just to see what lovely creations you come up with. Inspiring, indeed!!!!! Gotta love it! Great cards DT. I am on vacation...and I finally get to play along. Posted my project. These are wonderful cards and give me some great ideas. This DT rocks! Fab cards by the DTs. Sure glad I get to play along this week. Challenge cards are so inspiring. I'm so glad I posted in time this week. Well I am off to finish my SECOND CUP OF COFFEE! Starbucks speciality drinks rock, but when it comes to a good no frills cup of Java, Dunkin Donuts is my fav! Come on over Marlene and have a cup with me!